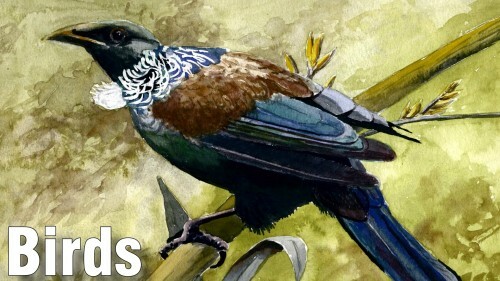 Birds make such wonderful paintings and are very popular with many artists. 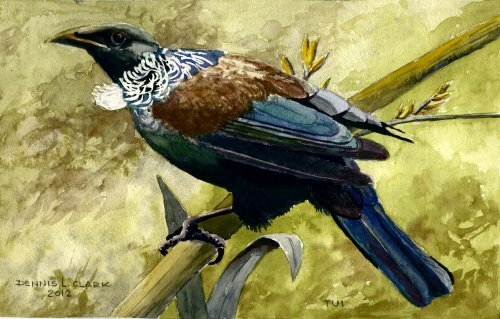 In this class you will paint, in watercolour, one of New Zealand’s most popular birds – the Tui. 3. and many other features. One of my earlier paintings & I am still impressed with the result, so thank you Dennis for the good guidance! I certainly recommend to go do this one.